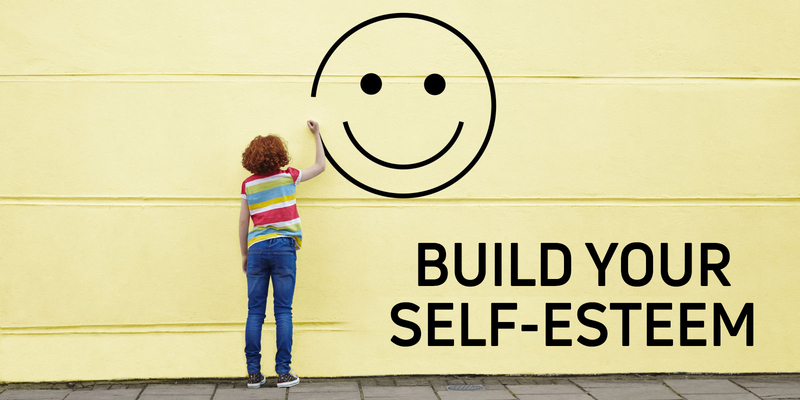 Positive self-esteem is an important and protective pillar of mental well-being. Although we can not always influence our happiness, we manage to better manage crisis situations with a healthy self-esteem and to develop ourselves more easily in quieter times. Learn about your self-esteem and learn valuable tips that inhibit self-esteem and how to consolidate this important anchor within you. What does self-esteem mean and how is it shaped? People value themselves by evaluating their personality and abilities. This self-esteem is very complex: it is closely related to the trust that a person has in him, how well he can accept himself and how conscious he is of himself. 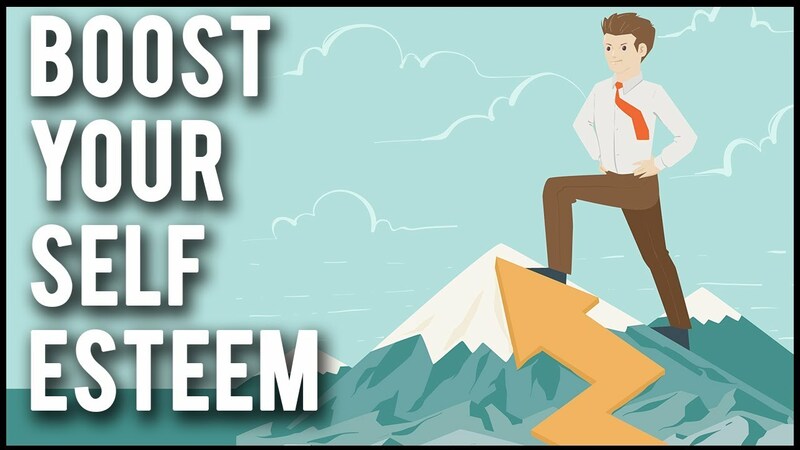 Common to the aspects of self-esteem, self-confidence, self-acceptance and self-confidence are that they are strongly influenced by their own self-confidence. And how confident a person becomes depends in particular on two early childhood experiences. First, the self-efficacy experienced, and second, the appreciation given to the child. A child who is noticed and taken seriously learns that it has effects. It is sure of itself. If it is treated appreciatively and lovingly, it can satisfy its need for social recognition and love. Anyone who has been esteemed as a child and who has been able to gain self-confidence, as a grown-up person, has a good chance of remaining able to act even in times of crisis, rather than being impotent about problems. However, it is normal for self-esteem to fluctuate. Even those who are normally self-confident, must learn to deal with the fact that the self-esteem in emotional times of crisis or physical exhaustion is usually lower and more unstable than in powerful and happy phases. Our self-esteem affects the core of our personality and thus radiates into our thoughts about ourselves and our behavior. It is worthwhile to recognize self-value traps and to avoid them as well as possible. When attention is focused on one’s own weaknesses, self-esteem drops very quickly. So if you emphasize your shortcomings and deficits and concentrate on what is not there or what does not work, leave the field to self-doubt and self-blame. Closely related to this is the sticking in negative beliefs such as “I can not do this”, “I’m not worth it”, “I’m not good enough” or “Do not be so selfish”. They were often internalized during childhood and consolidated over many years. Such beliefs, as whispered by an inner critic again and again, ensure that the self-confidence continues to decline. Who wants to be perfect, fails easily. The claim to be perfect or to make things perfect builds enormous pressure. Fearful of making a mistake or not getting something perfect, perfectionists often do not even try to accept challenging situations. As a result, their self-esteem is uselessly diminished. Comparisons are another self-worth trap. Surely you will always find someone who can do something very well or has something that you wish for yourself. If you see this as better and more beautiful, more valuable than your own abilities, possessions and qualities, self-depreciation is already in full swing. A multi-faceted self-estrogen inhibitor has to do with expectations of others: those who expect others to feel valuable, become dependent on external attention and confirmation. If you do not get enough of it or even receive criticism, self-esteem is like a house of cards. Taking constant care of one’s own behavior and how it is valued by other people also costs unnecessarily much energy. How do I increase my self-esteem to a healthy level? Focus on your strengths instead of stressing your weaknesses. What good can you do that can help you in the current situation or emotional state? What exactly did you do in similar moments? What helped you out of self-doubt and uncertainty? Identify your above-mentioned negative beliefs that depreciate you and make you look small. If you are aware of which often deeply anchored patterns you are blocking, then an important step has already been taken. Then you can begin to change those negative beliefs and turn them into positives. Are you really worth nothing or not enough? Check this sentence based on your everyday life. You will certainly find many things that you can do well, have done well, where: I am valuable! Transform the negative into a positive belief. Saying negative and long-lived beliefs is often a process that requires a clear decision and a lot of practice. If necessary, accompany yourself so that you can effectively get rid of inhibiting imprints. Accept yourself as you are instead of comparing yourself to others. If you notice one or the other you do not like about yourself, try changing or accepting it. When we have self-doubt, we tend to compare ourselves with people who are a little better or in a more comfortable situation. That there are innumerable others who can do less, or whose situation is more problematic than their own, is falsely fooled. Allow yourself to make mistakes. We learn from mistakes. Those who do not allow themselves to do something wrong do not do anything in the worst case and thus become incapable of action. Instead, act to the best of our knowledge and belief. If you are satisfied with the result, this boosts your self-confidence. If it later turns out that you would not make the decision in this way, you can decide anew. They collect life experience rather than persevere in the blockade. Practice in appreciation. Take a moment each day to realize what you find valuable in yourself and in your life, what you are happy about, and what you are grateful for. You will always find something that shows you the richness of your life, and you will always find it easier to understand how to make it yourself. Make yourself independent of the esteem of others and take care of yourself. This is certainly not easy, because it is a nice, confirming feeling when we are valued and loved by others. However, if you value yourself enough, you can take good care of yourself. So even in times of crisis, you are able to stabilize yourself again and again and to take responsibility for your life. If there is additional recognition from outside – all the more beautiful. The desire to achieve a pleasant self-esteem, but should not degenerate into stress. Whoever has to be self-confident and full of self-confidence, puts himself under unnecessary pressure. Instead of developing a healthy self-esteem, you run the risk of bending in the hunt for alleged self-optimization. How can this be avoided? With self-love. For what happens with love and comes from the heart makes joy and is easier. So practice practicing lovingly with yourself, which is probably the most beautiful form of appreciation. In this sense, be worth it!